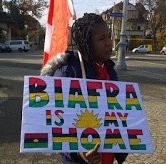 RESPONDING TO THE QUESTION- "WHAT DO BIAFRANS REALLY WANT"
Since the great outcry by Biafrans for self-determination and exit from Nigeria; one question which have been frequently asked by some political elites and the British spiders despite the fact that the point is clear, is "What do Biafrans really want". 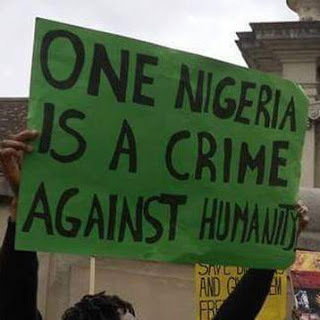 Though it's very much obvious that this is a pretentious question but I still hold little esteem for it because it will help to clear the air and distinguish between the voice/want of the masses in Biafra land and the selfish politicians in the Nigerian politics who cares not for the masses. 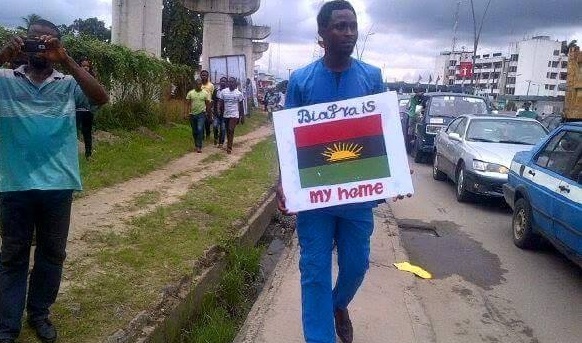 In response to that question; let me take your minds back to the early years of Nigeria when Biafrans first voiced out and the agitations began; right from the time of Chief Odumegwu Ikemba Ojukwu, all was pointing at self-determination and total exit from Nigeria for Biafra, nothing else. Even after the war, all the fingers of Biafrans were pointing and their voices was for Biafra. Today, same is applicable as this generation are still agitating and crying for same thing which is the complete exit from Nigeria and Freedom for the sovereign state of Biafra. It so much amazed me when someone like Muhammadu Buhari, Obasanjo, Gowon and others who were one of the pioneers in Nigeria and who knew what led to the Civil war and what the war was for back then, ask such disgusting question. To me, they're are pretending and trying to paint the fact to the world to look as if they don't really know what the constant cries and agitations is all about. I don't want to talk about other blacked-brained individuals and politicians who are also vomiting same trash; their problems are not farfetched, they are intoxicated by power and the politics of Nigeria. It will be very much immature for men of such caliber and well educated men to think the quest by Biafrans is for presidency or other political positions in Nigeria. Despite the fact that there are few politicians from Biafra Land who speaks and points at political positions, that's not the voice of the people, such persons are on their own not for the masses. If it were for political quest, millions of Biafrans wouldn't have stood up the way they do and they wouldn't maintain their stand till now amidst all the inhumane treatments and killing of Biafrans by the Nigeria government. 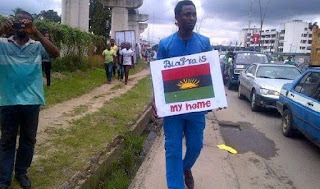 Biafrans have never for one day gone out during protests with placards with the inscription- 'We want presidency or higher political offices', neither have they ever gone to the streets with written inscriptions like- 'We want restructuring' rather the only thing and inscription written on placards and materials they always go out with is 'FREE BIAFRA, WE WANT BIAFRA' and Biafra flag/wears along with it. So how come someone with eyes and good thinking faculty still ask questions like "What do Biafrans really want"?. "Biafra or Death" as it is said by Biafrans on several occasions, what does it sound like to you? The Inevitable is that the point is clear and I don't think (be it under pretense or for whatever reason) rising questions like "What do Biafrans really want" will change anything. Biafrans are not interested in Nigeria politics neither do we want restructuring. You know Nigerians by the kind of questions they ask. If a Nigerian sees a blind man on the street, he will ask"is this a blind man?". Daft. That's what they are. A useless country. A country that have lost her respect even to the least countries in Africa. I can confidently say that nigerians are people who have eyes but cannot see. Ears but cannot hear. Nose but cannot smell. Brain but cannot reason. Oh chukwuokike abiama what kind of creatures live in there? It's terrible. Good point and well put friends! For me, most Nigerians are simply cowards and useless human-beings. They are the curse of Nigeria today for not speaking truth to power. They are the ones that have destroyed Nigeria for good.